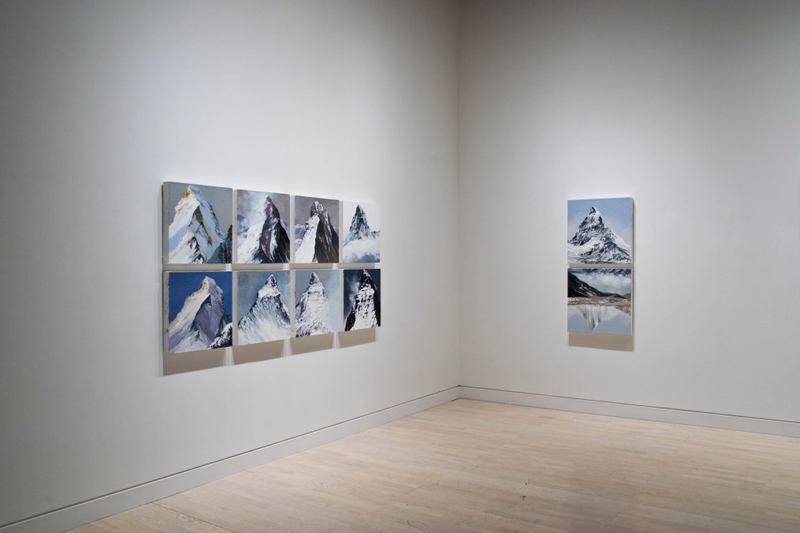 December 2009, Philadelphia, PA–Locks Gallery is pleased to present an exhibition of a new series of paintings by Diane Burko, titled Politics of Snow. This is the artist’s tenth solo exhibition at the gallery. Politics of Snow will be on view February 5 through March 13, 2010. There will be a reception for the artist on Friday, February 5th, from 5:30 to 7:30 pm. A fully illustrated catalog with an essay by Ian Berry will be available. Like the painters of the Hudson River School associated with the sublime landscape, Burko’s new paintings focus on epic views. 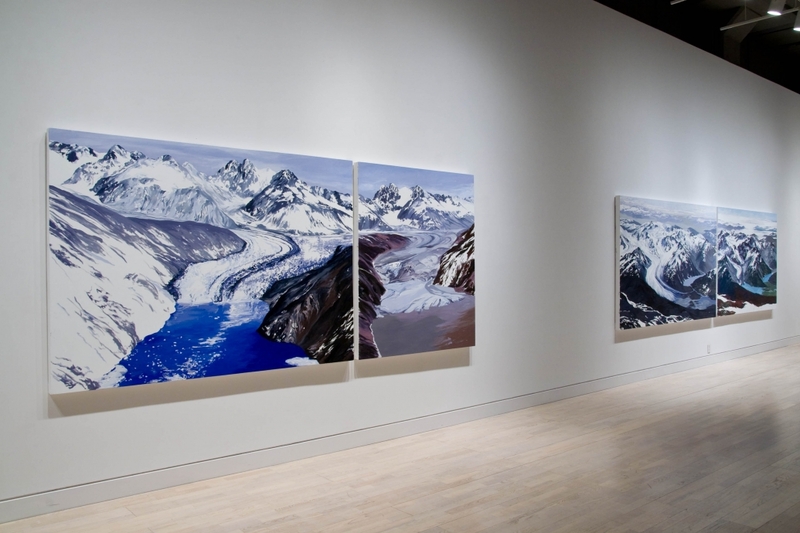 Her new subjects are glaciers and remote peaks in Alaska, Montana and the Alps. In Politics of Snow, Burko has shifted away from the quasi-naturalistic palette of the previous decade. Working from small black-and-white archival photographs, she introduces liberal interpretations via a monumentalizing scale and an imaginative color palette, including exposure of the unpainted canvas as its own color and ground. Created at a time of worldwide concern about the global environment, Burko’s new paintings are a powerful eye-opener. 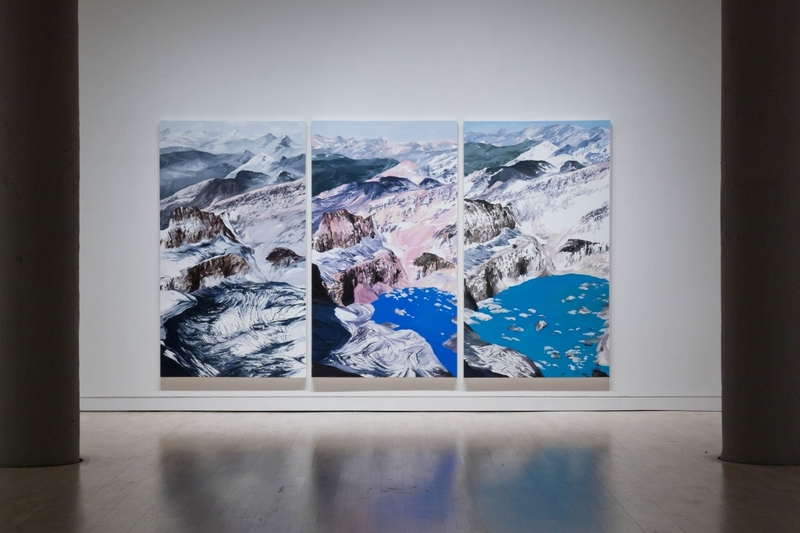 By pairing her images so that a contemporary view is combined with the same view from 10 to 100 years ago, the effects of climate change are immediately apparent. Like the experience of earlier sublime landscape paintings, the contemporary viewer is invited to take in the complete sweep of the monumental landscape. 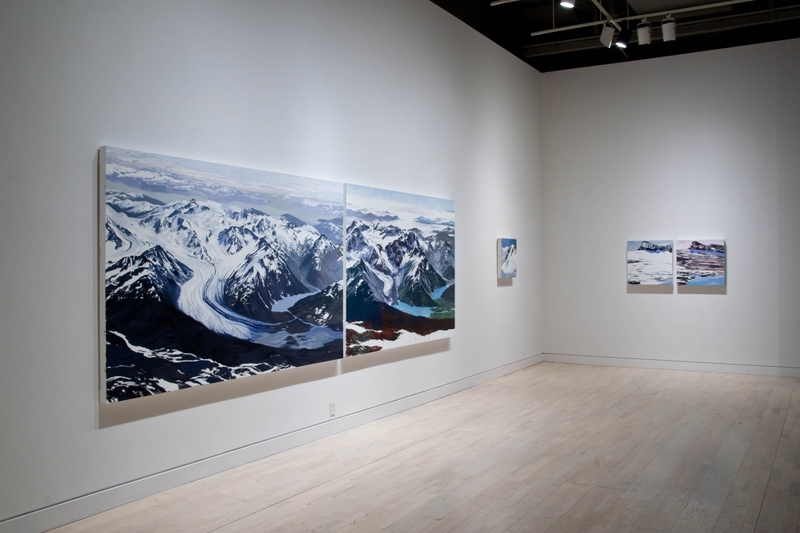 But the contemporary view poses a new challenge - will these glaciers and icecaps disappear? Diane Burko has repeatedly approached painting with a naturalist’s zeal to seek out rare phenomena - whether through an early series of the Grand Canyon or her recent survey of volcanoes. 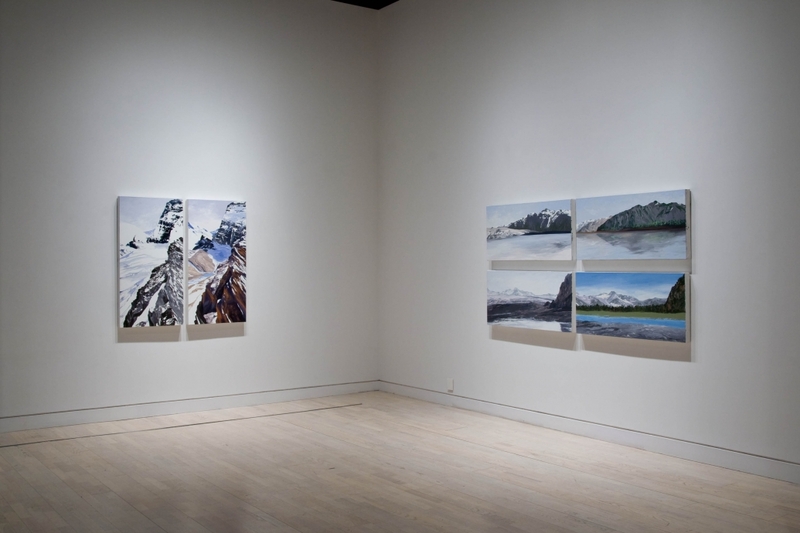 The artist’s painting trips to remote locations have been documented in print and video, including on the Discovery Channel. Burko will also be exhibiting photographs in a third floor exhibition titled, Imprints in the the Landscape. 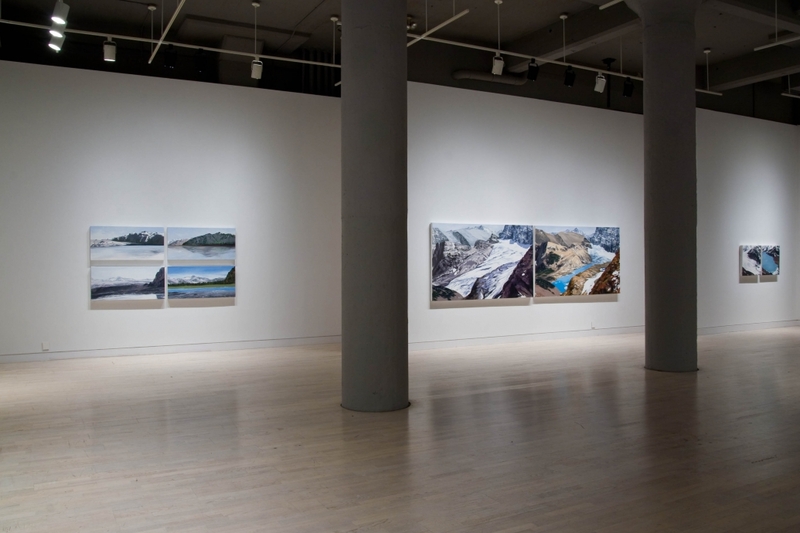 These images taken between 2007 and 2009 of the ice-covered ground of Pennsylvania and the sands of the South Dakota Badlands, draw the viewers’ attention to the imprints in the ground - both concrete and ephemeral - and strike a balance between abstraction and representation. This exhibition runs concurrent with the city-wide festival celebrating print in contemporary art, Philigrafika 2010. Burko graduated from Skidmore College and received her MFA from the University of Pennsylvania. The artist has exhibited throughout the U.S. and has had recent solo museum exhibits at the Tang Museum, Tufts University Art Gallery and the James A. Michener Art Museum. She had a distinguished teaching career for twenty-five years. The artist’s work is in many museums including the Art Institute of Chicago, Delaware Art Museum, the Pennsylvania Academy of the Fine Arts, the Philadelphia Museum of Art and Woodmere Art Museum.